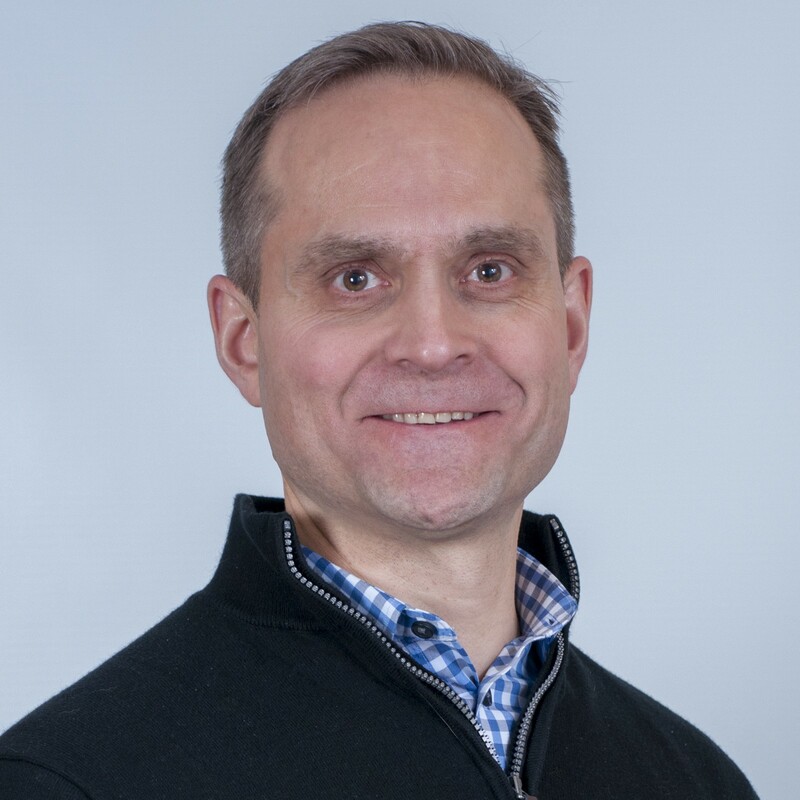 Kristian Olson is a serial innovator and the Director of the Consortium for Affordable Medical Technologies (CAMTech) at Mass General Global Health. At the same time, he is both a Pediatrician and Internist and an Associate Professor at Harvard Medical School. In the past, Kristian has worked in Thailand, Darfur, Indonesia, Cambodia, Ethiopia, Uganda, and India, and received the Scientific American Top 10 Honor Roll as an individual who has demonstrated leadership in applying new technologies and biomedical discoveries for the benefit of humanity. You’re a pediatrician, internist, and Core Educator Faculty at MGH, Associate Professor at Harvard Medical School, as well as the Director at CAMTech. Do you find that your roles intersect or influence one another? Absolutely! What we’ve learned from our CAMTech innovation platform is that interesting ideas arise at the intersections of disciplines. I’ve seen the same in my own work. Whether bedside teaching or seeing patients, I find I have a “front-row seat” to challenges in healthcare that informs many of the themes we work on through CAMTech. Similarly, working with designers, engineers, and business personnel has changed my own practice such that I find I’m actually embracing as challenges what I once viewed only as annoying barriers to providing care. Each aspect informs the other. You were also one of the architects of the CAMTech innovation platform. What problem(s) did you set out to solve? We were seeking to make technologies and processes in healthcare more responsive to the needs of users. We saw many areas where traditional, institutionalized health technology development was failing end-users and providing products that were not servicing their needs. India, for example, is a country with incredible engineering talent and medical expertise; however, over 70% of medical technologies are imported and 74% of those imports are non-functional in 5 years time. Furthermore, the majority of this tech is not accessible to the people who need it most. These numbers are even more alarming in sub-Saharan Africa. Here in the US, there is a huge need for medical technologies to realign around value- or health outcomes over cost. We desired more promising ideas to be sourced and then supported to move forward in an impactful, sustainable, and commercially viable manner. What we are creating is an open-innovation med-tech ecosystem. By engaging teams from diverse backgrounds to focus first on real challenges, we have found a winning mixture of motivation and complementary skills. In addition to developing impactful technologies, we are seeing many people participate and then begin to self-identify as innovators. What are a couple examples of the devices or solutions that have come out of CAMTech or through your other work? We are increasingly amazed at the practical creativity coming out of this growing network. We analyzed the outcomes from our first twelve med-tech hackathons and follow-on support processes. From those hackathons, 66 new projects were being trialed on people, 22 patents were filed, and 15 new companies had been formed. It’s hard to pick only a few but I’ll try. From our first hackathon just over 4 years ago, a device, the Augmented Infant Resuscitator (AIR) was conceived as an add on device to existing bag-valve-masks to enable instant feedback to users to make them more proficient. The goal was make progress in decreasing the alarming number of deaths that happen worldwide in the first minute after birth from simply not having newborns lungs filled with air. Fast forward and the device has been developed, refined, and trialed in both Uganda and in the United States and is on pace to commercialize with one year in both Low and Middle Income Countries and in High Income Countries as well. Second, at an event in India in 2015, where 8.7% of adults have diabetes, Yostra Labs participated in the CAMTech Diabetes Hackathon. There they conceived of Sparsh, a technology to diagnose diabetic peripheral nephropathy. They have progressed and received funding and acceleration support from at least two other complementary entities. A third example is from right here in Boston. In September 2016, CAMTech partnered with Global Medicine and the GE Foundation to put on the Opioid Epidemic Challenge Summit and Hackathon. Nine of the 18 projects conceived there have made significant progress since. One project, GEMs Boxes, just won $10,000 in follow-on funding from the GE Foundation to take forward their concept to place remotely-unlocked boxes in metropolitan areas that provide life-saving supplies like naloxone, the opioid reversal agent. What impact (personally or collectively) do you hope to have? Developing technologies is hard…developing medical technologies is harder. No one entity can fill the entire continuum of development alone. That said, in 10 years, I want to see communities and patients impacted by products that exist, at least in part, because of a CAMTech process. I’d like to see a cohort of companies and high-value med-tech that traces a critical part of its development to CAMTech. What’s the biggest challenge you’ve faced in your career? Definitely balance! I love seeing patients, working, teaching, innovating, and my family…and not in that order. Too much attention to any of the first ones and I risk losing a rewarding balance. One thing people might find surprising about you or what you do? I grew up rurally in Canada and re-planted forests to work through college. I lived in a tent for two months at a time and said I’d never work inside and never wear a tie. …I still don’t wear a tie. 3 things you wish you knew when you first started in your career? That’s a hard one, who wants to know the last pages of a book? I suppose that I’ve learned so many ways to work smarter rather than harder. Your career passes so quickly that I would tell my younger self to keep a laser-focus on what you believe is the most important. Best and worst piece of advice you’ve ever received? Best: “Go Now!” This wasn’t disparaging advice to “get lost” but rather encouraging advice to be brave and try. I was given this same advice from two mentors at different critical times in life. They both stressed getting authentic experiences and following your passions. Worst: “There’s nothing you can do?” Many of us have heard this. It’s unhelpful, self-defeating, and the opposite of truth. I’ve heard it while working in refugee camps all the way to considering new ways to solve seemingly intractable “institutional” issues at a major medical center. It was false advice, regardless of the setting. What’s next? Over 70% of the world will live in cities by 2050 and there are unique challenges of accessing care for the urban poor. In March, we are experimenting with our model in India. We are hosting the “CAMTech-X Jugaadathon” in which 5 hackathons will happen simultaneously in 5 different cities. Our theme is improving health access to the urban poor. It’s exciting!